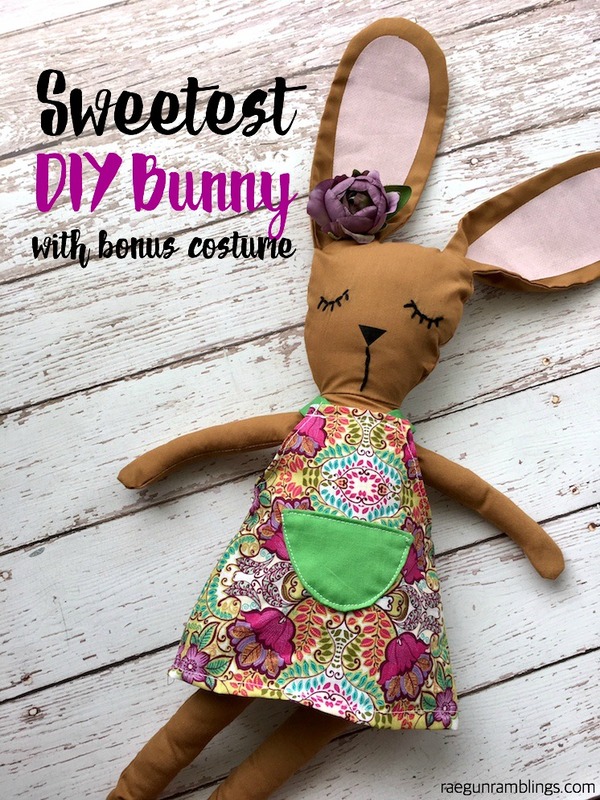 This sweet little DIY bunny softie is just too cute. Even better it’s incredibly easy to make and a free pattern. I used my brand new Cricut Maker to whip this up and it took me less than 3 hours and I even made an extra little dress! And make sure to read to the bottom because I’m giving one of these amazing machines away!!!! 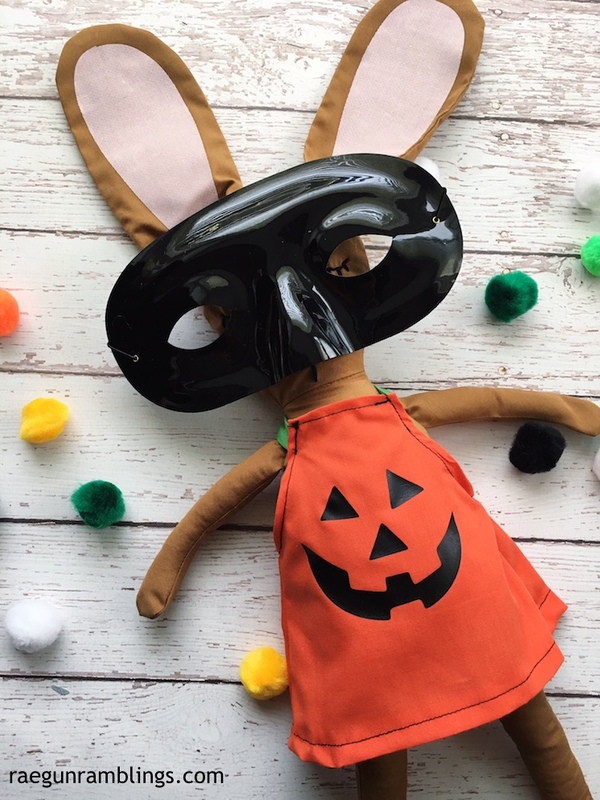 This is one of the free projects that can be accessed for free with the Cricut Maker. I was able to cut all the fabric pieces on the machine and marked all the embroidery with the fabric pen in the machine. 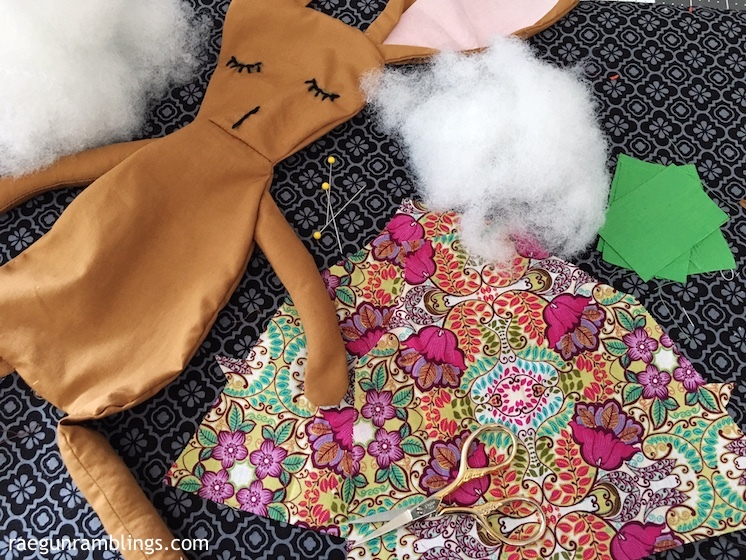 It was pretty amazing to have all the annoying parts about sewing – figuring out the pattern, cutting the fabric, and marking the fabric, done for me! Iron the ear contrast fabric and nose fabric to heat-n-bond. 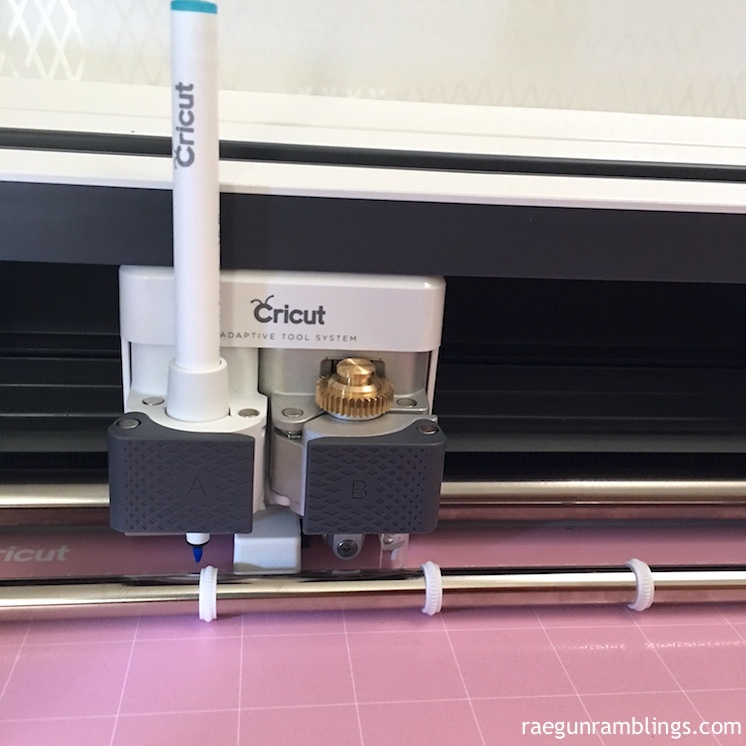 Cut and mark your pattern pieces using the Cricut Maker. With right sides together sew the limbs together, clip the curves and turn right side out. With right sides together sew the head pieces to the body pieces at the neck. With right sides together sew the one back ear piece to a front ear piece. Clip curves and turn right side out. Stuff the limbs and set aside. Fold a pleat into the ears and pin to the top of the head piece. Roll the length of the ears. 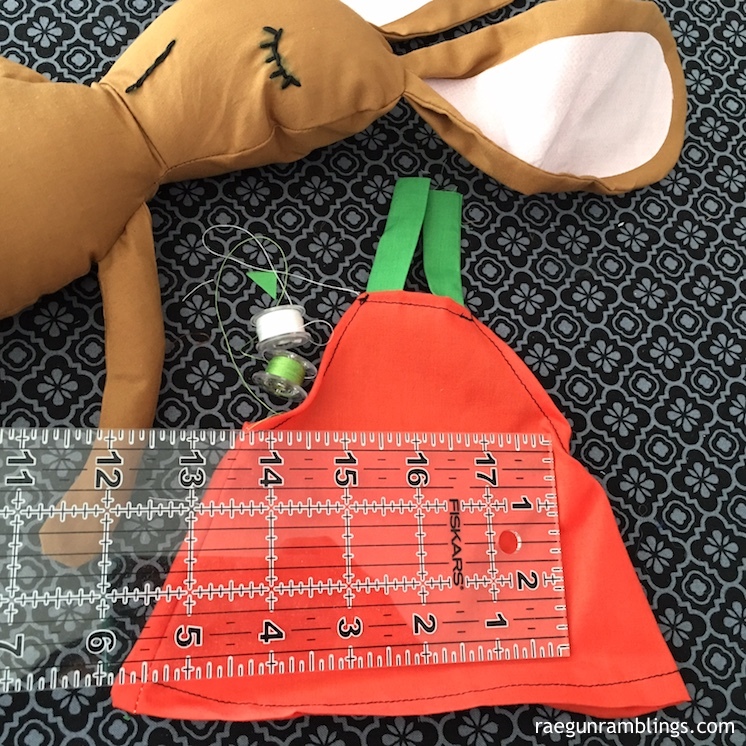 Pin the arms and legs in place and pin to the center of the body so you will have room to sew around the edge. Position the back body piece over sandwiching the ears and limbs. Start at the bottom and attach one leg and sew around leaving a gap between the legs to turn and stuff. Click any curs and points. Turn right side out and stuff. If using a pocket position right sides together and sew around the edges leaving a small gap in the straight edge for turning. Clip around the edges and turn right side out. Iron and topstitch along the top edge to close the hole. Position on dress and topstitch to the dress piece by sewing along the curved edges. Fold straps in half and sew down the long side. Turn right side out. With right sides together sew the side seams of the dress. 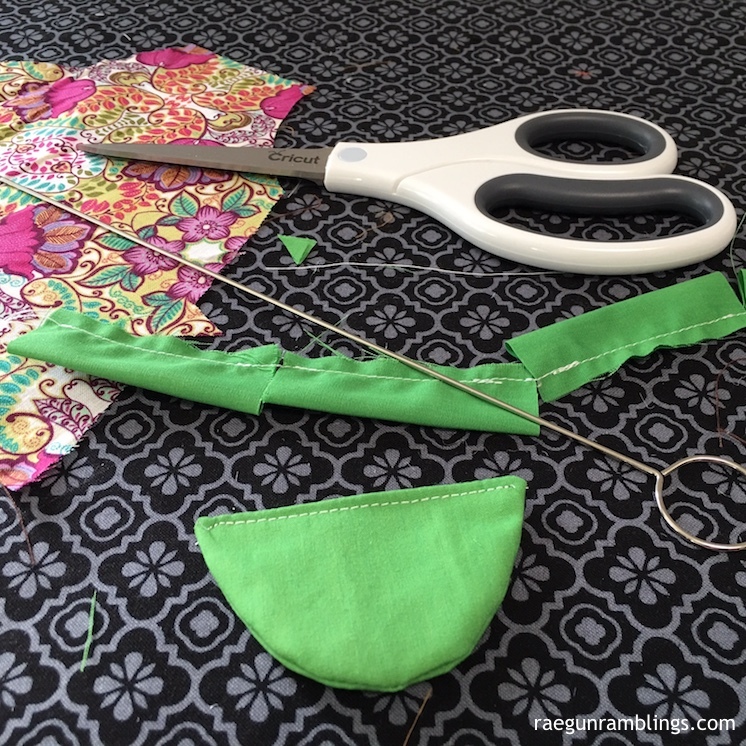 Fold under the armhole edge and sew under. Do the same for the neckline and hem. Attach the straps to the side of the dress (not the top like pictured below oops) and you’re good to go! Want to check out the other 49 FREE projects included with the Cricut Maker?! 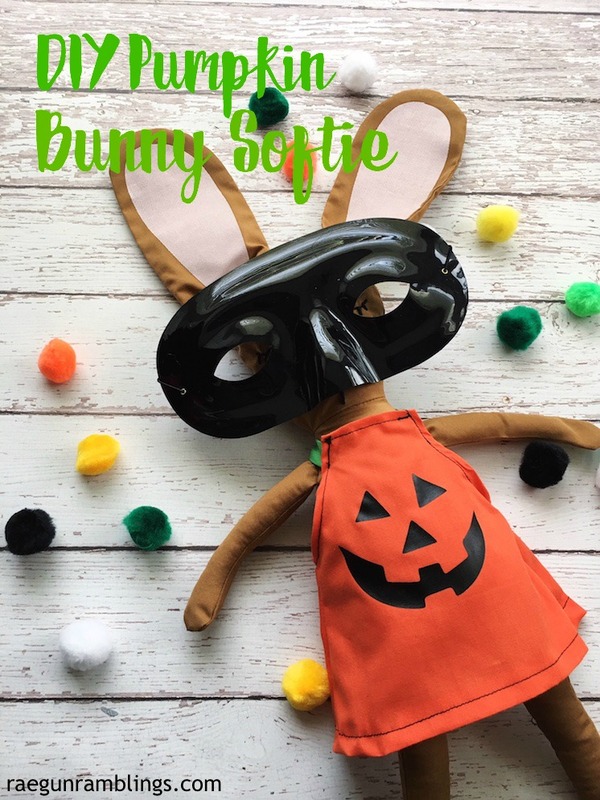 Click the pictures below to see how some of my blog buddies created these projects with their Maker!